My friends and I all went out for brunch this past sunday at Brasserie 8 1/2 on 57th Street. I enjoyed the food and the atmosphere so much that I suggested we make it once a month (what do you say guys?!). When the bill came, there was a card attached with info on joining their birthday club. Brasserie 8 1/2 offers $50 to anyone (over 18), who signs up here, on their birthday. 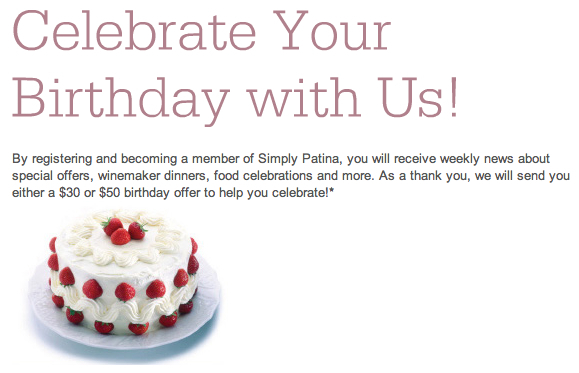 For more birthday freebies, click here. This entry was posted on Wednesday, January 12th, 2011 at 12:14 pm	and is filed under DINING, SALES AND PROMOTIONS. You can follow any responses to this entry through the RSS 2.0 feed. Both comments and pings are currently closed.